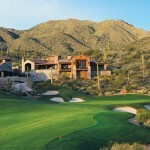 The Residential Market Data has just been released by the Arizona Regional MLS system. 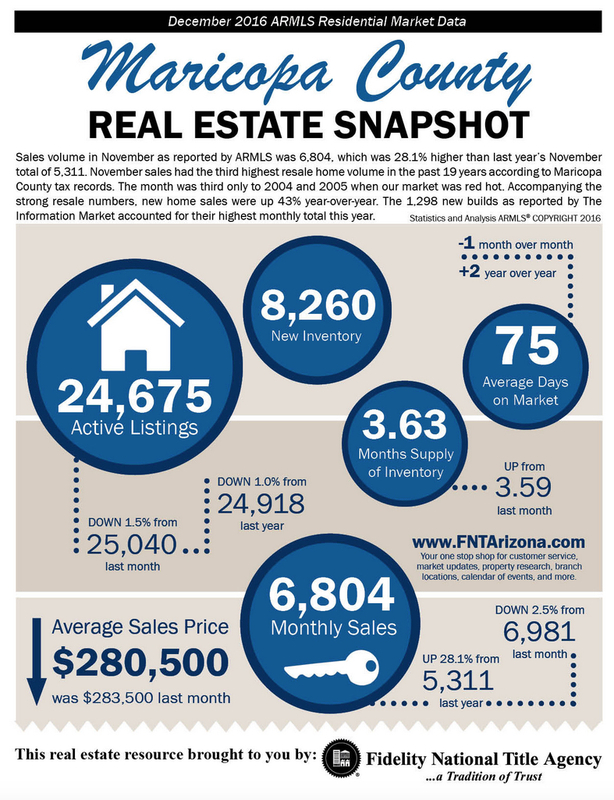 November’s sales volume was 6804 properties in Maricopa County. That is 28.1% higher than last year’s November figures. 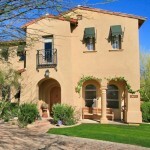 November has the 3rd highest resale home volume in the past 19 years according to Maricopa county tax records. The month was third only to 2004 and 2005 when our market was on fire. Accompanying the strong resale numbers new home sales were up 43% year-over-year. 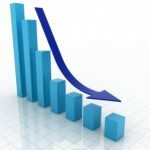 Inventory of homes for sale is down 1.5% from last month. So there are less homes on the market for buyers to choose from. The average days on the market is 75. The boom in monthly sales in November may be an indication that home buyers are jumping off the fence in anticipation of rising interest rates. A rate increase will reduce a buyers purchasing power by reducing the total mortgage amount that they can qualify for. The accompanying real estate snapshot from Fidelity National Title Agency summarizes the statistics. You can view more information about Recent Market Trends on our website. Call me for any additional information or to view homes in Scottsdale.